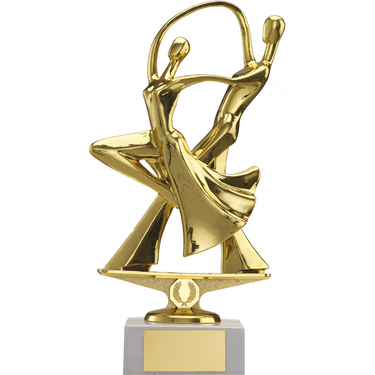 Beautiful, elegant and streamlined dance trophy depicting a couple flowing in perfect harmony with the music. The figures are finished in gold. 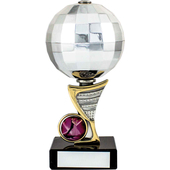 Available in 5 sizes it rises from a modest 23cm at it's smallest up to 36cm at it's tallest. The 4 larger sizes sit atop an gold and bronze striped column which gets progressively taller with each size. 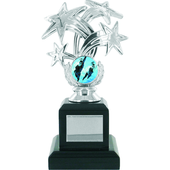 Ideal for competitions with multiple prizes. 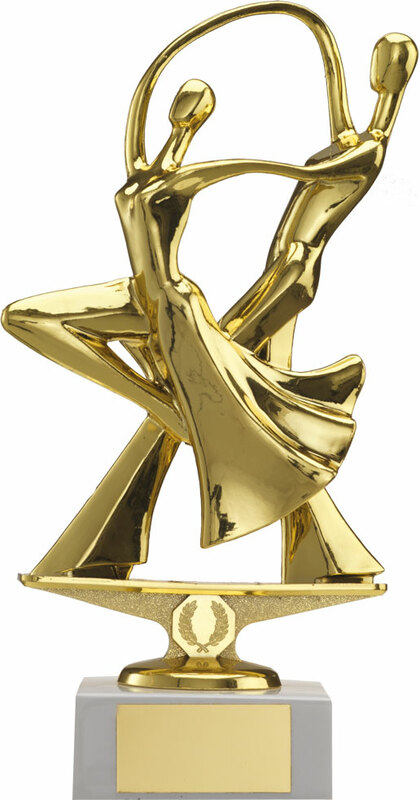 This is an award that will sit with pride on any mantlepiece. This can be personalised with engraving text.